In addition to it’s tranquil setting, La Maison d’Hôtes has a 4 star grading from the Tourism Grading Council of South Africa The combination of understated hospitality, privacy, high levels of professionalism and attention to detail, combined with quality furnishings and luxurious comfort, make guests return again and again. The property has electric fencing and remote-controlled gates, and there is adequate secure parking within the premises. 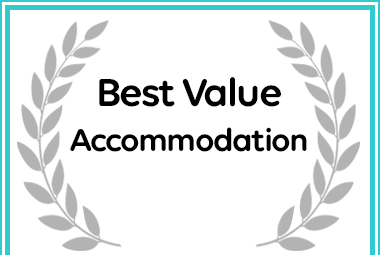 Afristay has named La Maison d’ Hotes Guest House as Best Value Accommodation in Pretoria.